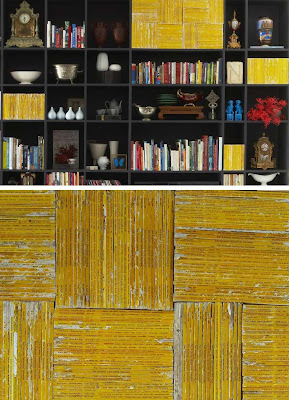 Neil Stemmet’s use of the vibrant colour of National Geographics (see previous post) is such a simple and effective way to use a bookshelf as more than just a support structure. 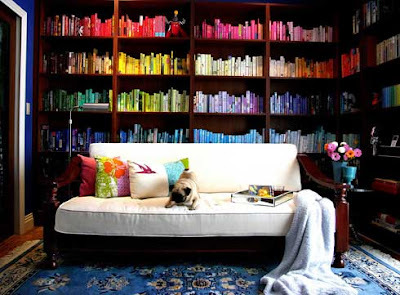 …and this let me to hunt down a couple more clever ways to use books in your decor. 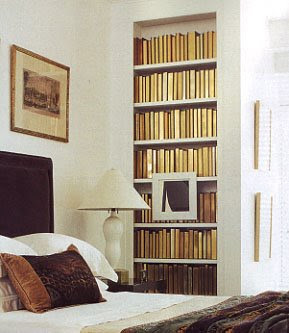 Happy Mundane posted about using the gold leaved pages of a book as decoration – something he spotted in an issue of Elle Decor last year. His post about facing spines in rather than out attracted quite a lot of comment, so check it out, and see what you think. … and this is in the house of Chotda. I imagine there’s some smart lighting going on here, to make those colours stand out so brightly. The pic below is not really decor, but it’s so pretty, I just couldn’t resist. 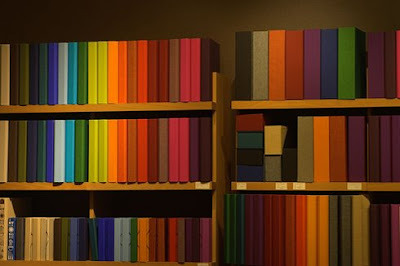 Marcus Ramberg took a pic of the shelves of a printing company, where you can choose the colour of your book cover before printing. 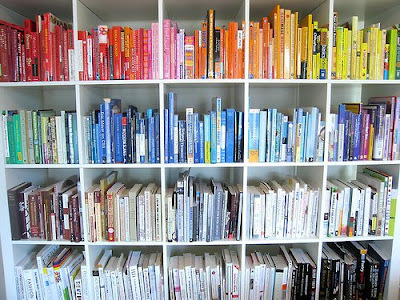 There are heaps more of these at the Rainbow Bookshelf Flickr group, as well as an inspiring article on the subject at Colourlovers. 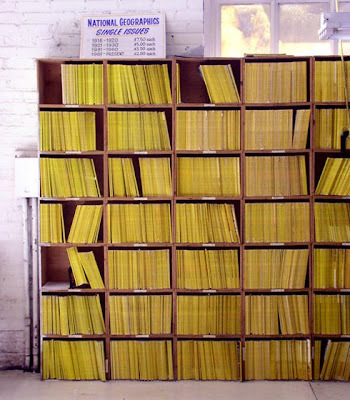 I just wish we’d used this system when I was a school librarian – so much more fun than that pesky Dewey method.